The National Assembly yesterday returned from its three-month recess and began discussing changes to elections legislation despite a boycott from opposition lawmakers. Assembly spokesman Leng Peng Long said the permanent committee met in the morning and agreed to push forward proposals to change four laws. 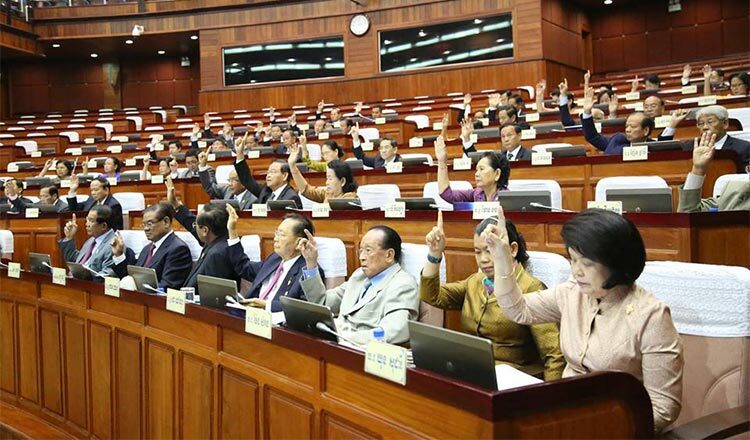 The changes, requested by the ruling CPP, relate to the distribution of party seats in the National Assembly and Senate, as well as provincial, municipal, district and commune councils. The amendments mean the seats of any party dissolved by the court will be divided between other parties based on a proportional formula, as set out in the legislation. “The permanent committee has decided that those laws will be reviewed,” Mr Peng Long said. A total of 67 out of 68 CPP lawmakers attended the session yesterday. 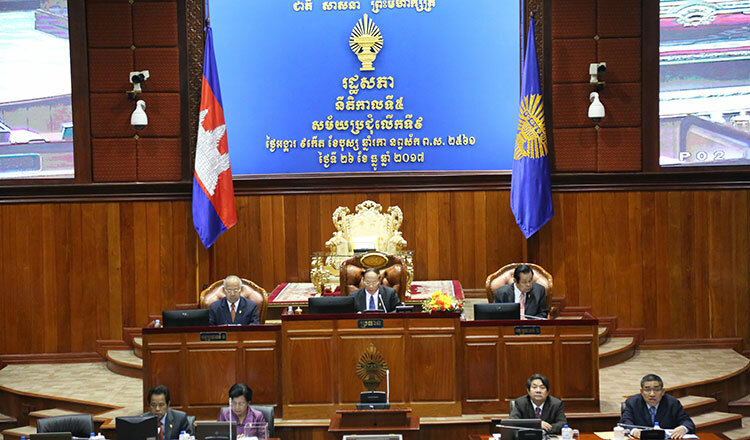 Interior Minister Sar Kheng declined to comment on why the opposition CNRP boycotted the National Assembly session. “I dare not say,” Mr Kheng said. Opposition leaders will meanwhile hold a committee meeting today, after the Supreme Court gave them 20 days to submit evidence against the Interior Ministry’s request to dissolve the party. 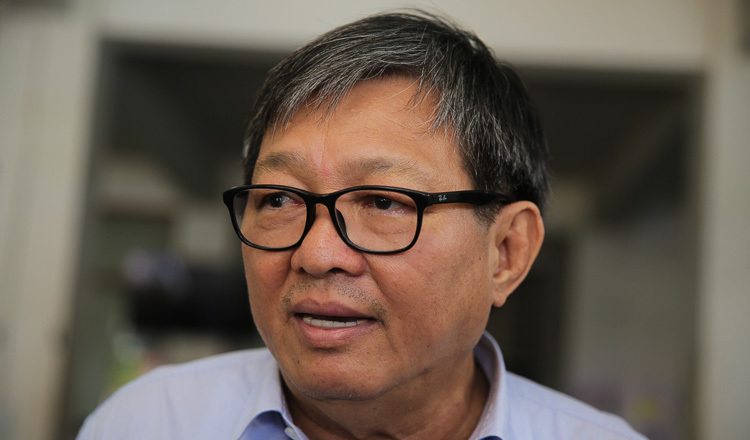 CNRP lawmaker Mao Monivan said the party would discuss whether to submit evidence to the court or not. “I cannot say if we will submit the evidence or not until after the meeting,” he added. 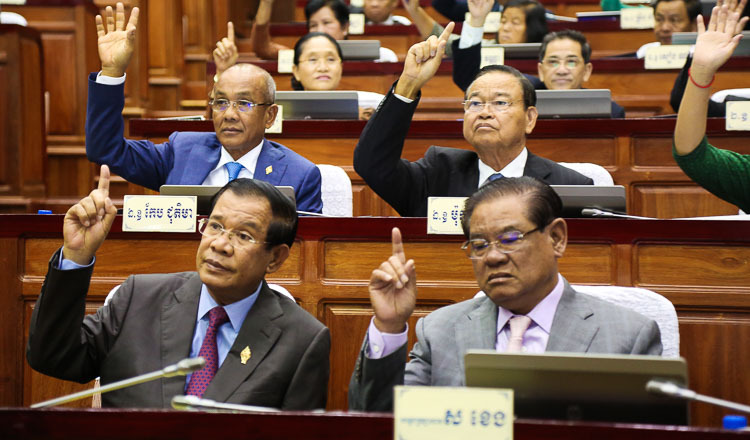 The Interior Ministry last week filed a request to the Supreme Court to have the CNRP dissolved, following complaints filed against it by the Funcinpec Party and Cambodian Youth Party. On Tuesday, Supreme Court judge Sem Sakola subsequently ordered the CNRP president to submit a response to the case within 20 days. Sam Sokong, Kem Sokha’s defence lawyer, said he had not been asked to work on the case. Political analyst Meas Ny said it now seemed obvious the CNRP would be dissolved. 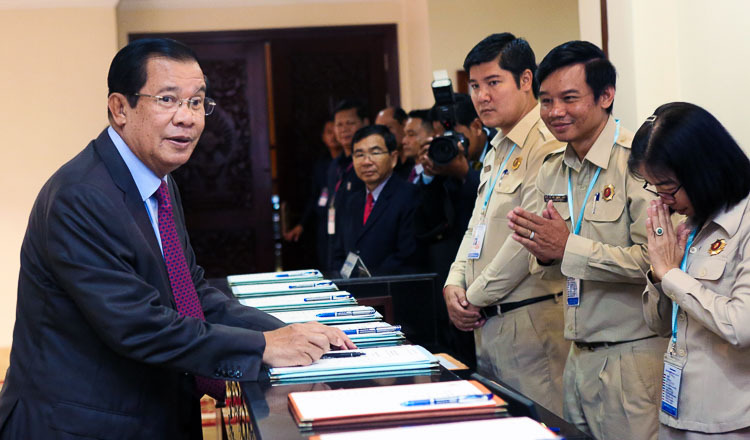 Addressing about 20,000 factory workers on Phnom Penh’s Veng Sreng street on Wednesday, Prime Minister Hun Sen said the CNRP would simply be replaced by five other opposition parties if it were disbanded, describing Cambodia as a “paradise” for political parties and NGOs. “If one party is dissolved, then another five will replace them. So we would go from having two parties in the National Assembly to having six. It will happen soon,” he said. Former opposition leader Sam Rainsy, who is living in exile, took to Twitter to decry the government’s proposed changes to electoral law. To mark the return of the National Assembly from recess, King Norodom Sihamoni yesterday issued a letter reminding parliament and the government to continue addressing important domestic issues and to ensure harmony in the country, since observers say the nation is split and in political turmoil. 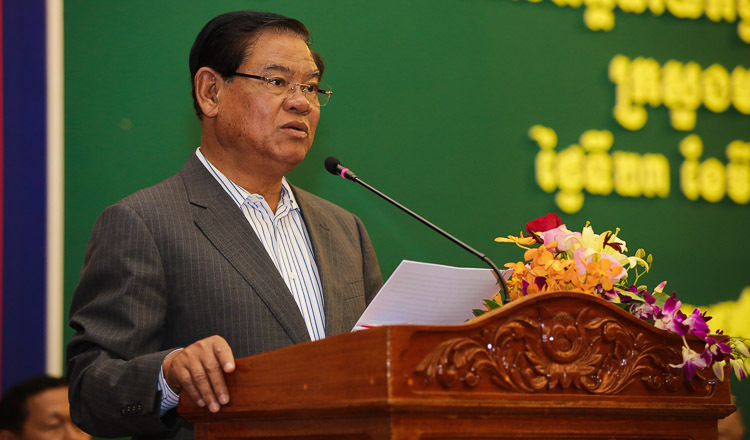 “I hope the National Assembly will represent the entire Cambodian people and continue to work to address the challenges of the future, to achieve a common goal of ensuring a harmonious society in Cambodia,” the King said. CPP spokesman Sok Eysan said no one would be attempting to dissolve the opposition party if it hadn’t committed illegal acts. “Some people criticise the CPP for attempting to dissolve the main opposition in the country, but the reality is that no one would want to dissolve the party if it had not breached the new law on political parties,” he said.